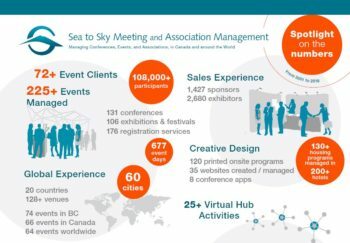 Core values and how to make use of them – Sea to Sky Meeting and Association Management Inc.
Have you ever thought carefully about what your core values are? These are the things that you really, truly believe deep down and actually live by day-to-day. Could you name them? If put on the spot, I think most people could give a reasonably honest answer when speaking in a personal capacity. But it takes a bit more thought to do the same for a whole company or organization involved in the complicated, high-pressure business of exceeding its members’ or customers’ expectations, planning for the future and keeping the lights on. When hiring people, place as much importance on their fit with your organization’s core values as you do on their ability to do the job. To do that, you need to take the time to find out as much about them as possible. Have separate interviewers for interviews on a) expertise and b) core values. That way you’re not dazzled by an interviewee’s abilities at the expense of a good culture fit. Pretty soon, DeHart says, you will get used to recognizing people who share your organizations’ values. Your employees will too and they’ll police them for you. DeHart said the biggest test often comes when you have to ask yourself whether you’re prepared to fire somebody who performs great but doesn’t live by your core values. Because you should. If you don’t, everybody else will think they can get away with not living the core values and they don’t mean anything. One person can ruin a whole culture and you should be prepared to defend your organization’s culture no matter what – even if that means turning down a potential client or letting somebody go who brings in lots of business. To view our full infographic, click here.